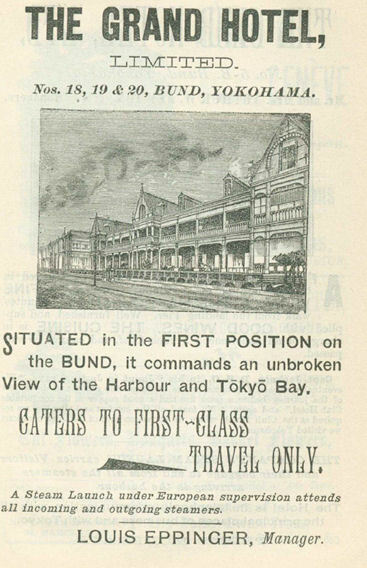 This is The information that is found in the advertising section of Murray 1903. 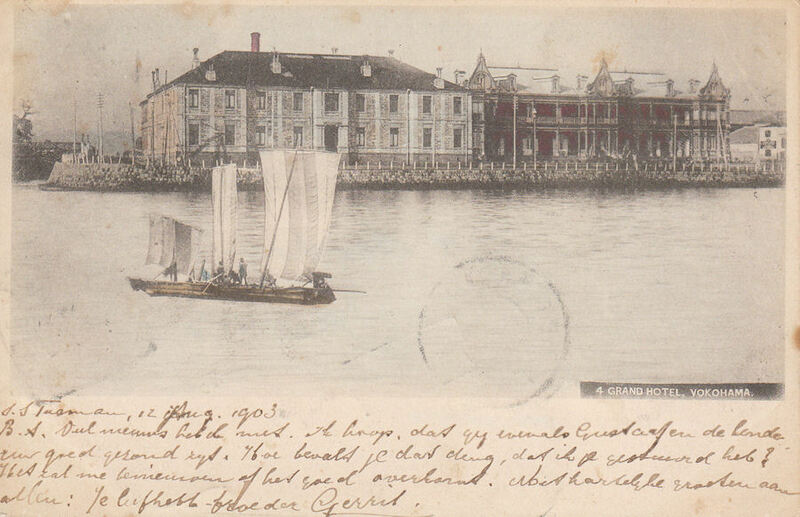 Grand Hotel; No. 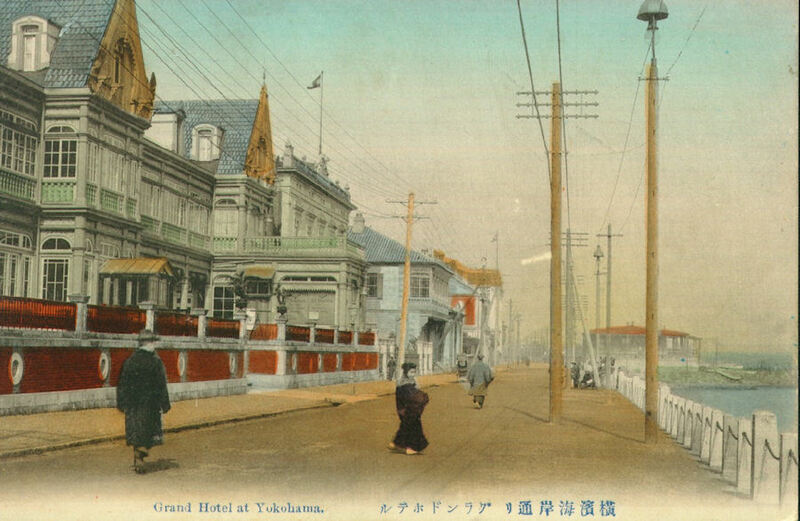 18, 19, 20, Bund - 31 single-bedrooms, 44 double-bed rooms, 11 suites of apartments, — accommodating 150 persons; Tariff (American plan), ¥7-18 (for a single-bed room), ¥ 14-18 (for two persons occupying a double-bed room), ¥ 18-20 (for single person occupying a suite), ¥ 22-25 (for two persons occupying a suite), etc. 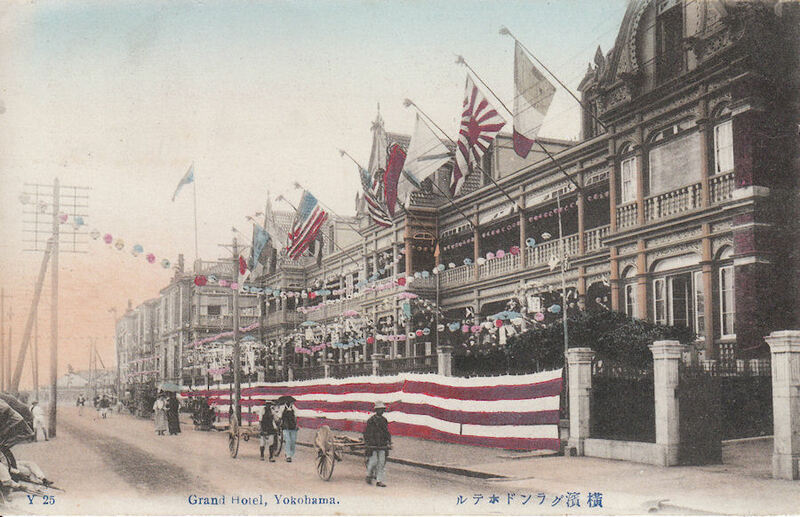 Grand hotel with flags banners and lantern - note that not all the flags has the right color. It is probably in connexion with the visit of the American Great White Fleet in 1907. 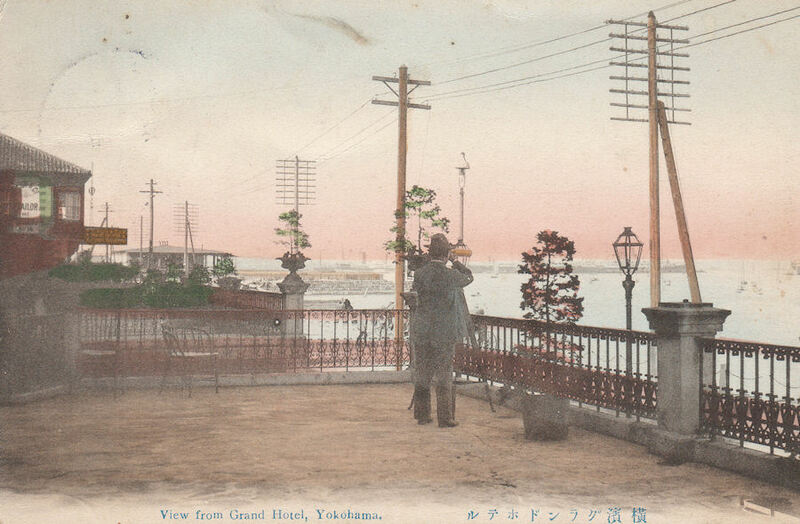 A card showing the hotel from the sea and at the left Yokohama canal.